The New Citroën C1 – a fresh take on a popular model that has sold more than 760,000 examples worldwide since its launch in 2005. 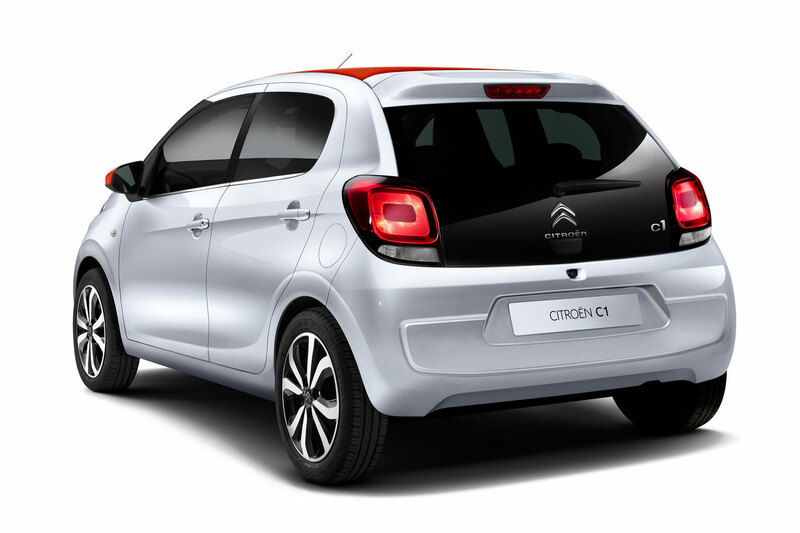 The latest version of Citroën’s city car is available in both three and five-door versions, as well as a new open-top body style called Airscape. A car with a strong personality, delivering an upbeat response to urban mobility requirements, the New Citroën C1 reflects the bold renewal of Citroën’s C-line. The New Citroën C1 is available in three and five-door versions, as a hatchback or a soft-top vehicle with Airscape. The dynamic, lively styling is underlined by the visual continuity between the windscreen and side windows, with black windscreen pillars and, depending on trim level, chrome-finish weather strips. The front end features the key characteristics of the new brand models, with the New Citroën C1’s two-part headlamps and round inserts creating a smiling front end. Meanwhile, the C1’s vertical daytime running LED lights create a signature that emphasises the car’s cheerful design and strong character. Lighting effects continue at the rear, with a glass tailgate and square lights creating a 3D effect. An eye-catching and appealing addition to the new breed of Citroën models, the New Citroën C1 combines strong personality with compact, condensed volumes and wider tracks at both the front and rear. 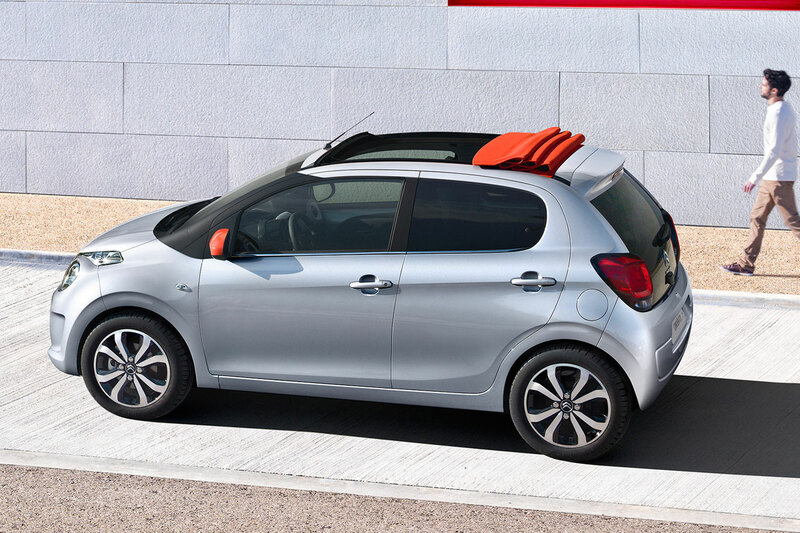 The New Citroën C1 is available in eight exterior colours (Caldéra Black, Gallium Grey, Carlinite Grey, Olive Brown, Lipizan White, Smalt Blue, Scarlet Red and Sunrise Red) and can also be personalised with bi-tone colour options. Two special launch versions are available with different body and roof colours – Olive Brown roof and Lipizan White body. The soft-top version, Airscape, is also bi-toned. Contrasting with the body colour, the soft top is available in a choice of three colours: Sunrise Red, Black or Grey. For a touch of urban chic, 14’’ or 15’’ wheel covers and 15’’ diamond-tipped alloy wheels are also available. The interior of the New Citroën C1 is bright and airy with a colourful ambience. Designed with clean, structured lines, the dashboard features bright colours on the multimedia panel, air vent trim and gear lever base. The door panels also include body-coloured inserts. The New Citroën C1 delivers day-to-day driving pleasure and the Airscape open-top body style, in both three and five-door versions, is a class exclusive. The Airscape open-top versions create a sense of escape, with the exceptionally large soft top (800 mm x 760 mm) operated by easy-to-use power controls, giving passengers a greater sensation of everyday freedom. 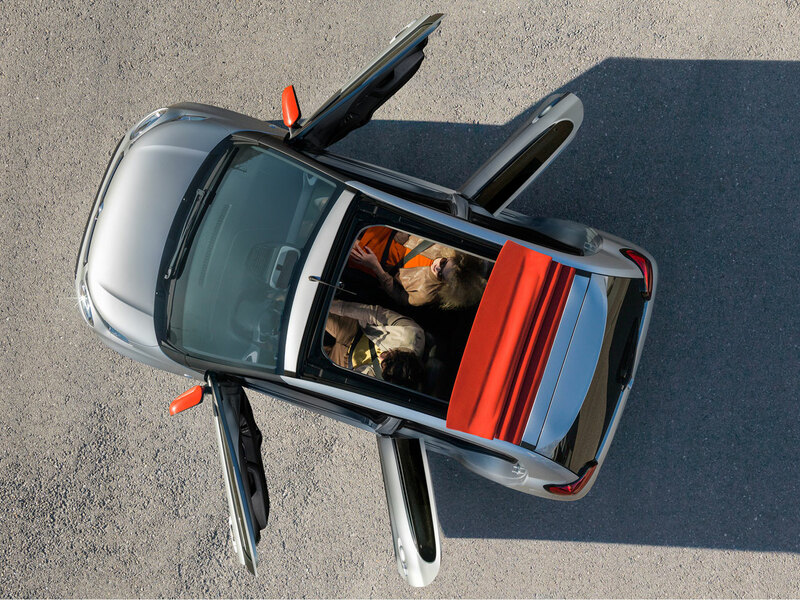 The New Citroën C1 is designed to carry up to four adults in comfort, with generous space in the front and rear. Both three and five-door versions maintain compact dimensions: 3.46m long / 1.62m wide /1.45m tall. One of the most compact city cars on the market, the versatile New Citroën C1’s neat dimensions make it nimble and easy to manœuvre with an optimum turning radius of 4.80m and electric power steering for easy handling. The New Citroën C1 combines dynamic, vibrant styling with everyday features and an ergonomic design. There are storage compartments throughout the cabin with cup holders and a glovebox able to hold a one-litre bottle and with a lid for greater peace of mind. The functional 196-litre boot is easy to access, with the parcel shelf folding away when the tailgate is opened. With the rear seats folded, boot capacity increases to 780 litres. The New Citroën C1 also has a range of comfort features, such as automatic air conditioning, heated seats and, for the 3-door version, memory settings for the front seats. The New Citroën C1 sets high standards in comfort and road handling. Compared with the previous-generation model, the New Citroën C1 features a rear axle that is 4 kg lighter, new suspension springs, new shock absorbers and a new large-diameter anti-roll bar. These changes improve both suspension comfort and road handling. New electric power steering delivers a precise and enjoyable drive with smooth, satisfying and sharp steering both in the city and on the open road. At the same time, the new tyres with very low rolling resistance and compact dimensions (14 and 15 inches) contribute to strong braking and lower fuel consumption. The New Citroën C1 brings you an enjoyable, comfortable and relaxed driving experience, on all types of road. The New Citroën C1 features intuitive, easy-to-use technologies. It is available with a 7’’ Touch Drive Interface, grouping together all media functions (radio, telephone, video player, on-board computer). Mirror Screen technology offers advanced connectivity. This function allows the motorist to copy smartphone content onto the 7’’ Touch Drive Interface for easy display and control. To do this, a data exchange app must be installed on the smartphone, before being plugged into the car’s USB port, compatibility permitting. Once installed, the motorist can take full advantage of the complete range of smartphone apps from the 7’’Touch Drive Interface: navigation, telephone, address book, music, web radio… and any other useful driving-compatible apps. A range of on-board technology makes driving easier such as a reversing camera, which projects images onto the 7” Touch Drive Interface, simplifying manoeuvres, such as parking in tight spaces. The New Citroën C1 also features hands-free entry and drive. This function lets the driver enter and start the car without taking out the electronic key – convenient technology typically seen on more premium models. Hill-start assist is also standard. This feature holds the car steady for two seconds for an easy re-start on slopes with a gradient of over 3%. 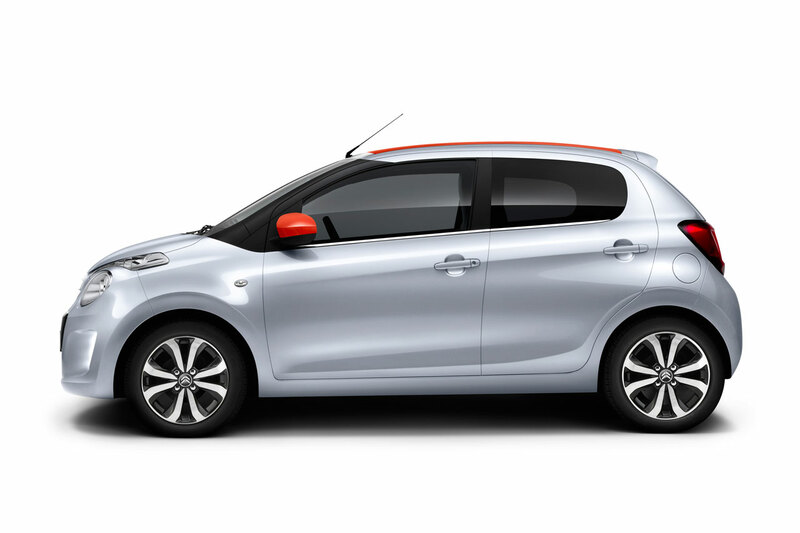 The New Citroën C1 combines an affordable price tag with optimised running costs. Weighing just 840 kg and fitted with very low rolling resistance tyres and powered by Citroën’s efficient latest-generation engines, it ranks well for efficiency, as well as delivering low servicing costs. 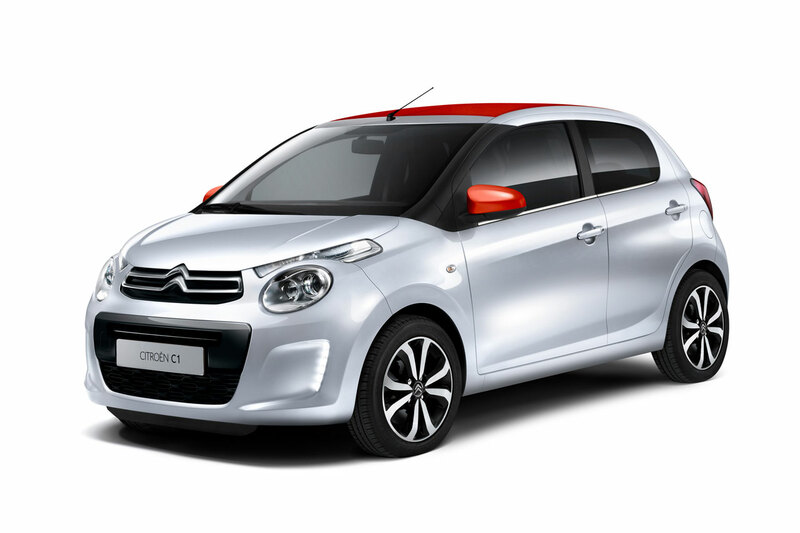 The New Citroën C1 is available with a choice of two latest-generation petrol engines. With the e-VTi 68 Airdream engine mated to a 5-speed gearbox and featuring Stop&Start technology with a special aerodynamics pack, the New Citroën C1 is on par with the best in class for fuel consumption. The VTi 68 engine is available with the clutchless ETG (Efficient Tronic Gearbox). This 5-speed gearbox features a creep function and optimised pedal mapping, adjusting power effectively for smoother start-ups and enhanced driveability. The New Citroën C1 is also available with the new VTi 82 from the PureTech engine family. Built in France, this 1.2 litre 3-cylinder 82bhp petrol engine uses innovative technologies for fuel consumption of 65mpg and just 99g/km CO2 emissions, combined with driveability and nimble performance – torque of 118 Nm and 0-60mph acceleration in 11 seconds.